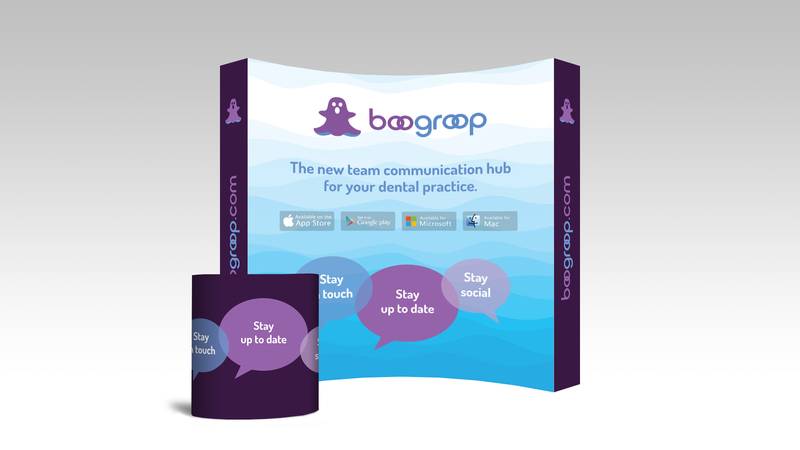 Ball Media is excited to have been involved over the last few months and to have worked with an innovative Company on the design ,development and printing of trade show displays and materials for a Dentistry Conference this weekend in Nashville TN. “Boogroop was developed and maintained by Dr Michael Ling, for his internal team at the Clarence Street Dental Group Brantford, Ontario. Boogroop was created as a centralized hub for team communication that can offer more organized and efficient methods than traditional approaches. It’s smooth, it’s lean, it flows and… it just works. Boogroop eliminates a lot of the time that can be wasted by staff getting bogged down in meetings and emails.